I truly appreciated being instantly informed on the status of my case as well as getting the treatment I needed in a timely manner. The staff was always helpful and informative. They really cared about getting me the best doctor and results. Very happy with the customer service and outcome of my case. I had an attorney before and she could not get anything done for me. 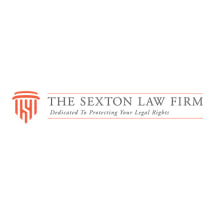 I am glad I switched because it made my life easier and was very fortunate to be recommended to The Sexton Law Firm. I simply don't like lawyers. In the past I have felt that they are always looking for a way to get the most money out of you. Mr. Sexton is the first lawyer that didn't give me that feeling. He cares about his clients. The first time I met him we didn't even talk about my case. He showed me videos of his son who is a football and track star. I hired him when I hurt my back. I fell off a scaffolding at my last job. It took 3 surgeries, but now Im running around again. I have seen Mr. Sexton's law firm go through some changes in staff, but he stood by me every step of the way. I am actually glad new staff came because the case manager has been wonderful and always got back to me when we were closer to closing my case. It took a long time to settle my case. But I am glad because Mr. Sexton got me above and beyond what others in my similar situation would have gotten. One thing I liked the most about this firm is that they actually explain the law and work comp process to you if you ask. I knew nothing about workers comp before my accident. Jim Sexton is a good guy with a lot of experience in personal injury and workers comp. You want a lawyer like this.